This was one of the most intimate shows I have ever been to. The Flux is located in the basement of one of Drexel University’s buildings and has a very small stage. This particular show was not very crowded despite the popularity of the bands playing. Bleeding Fractals played loud and with hostility. Their set energized the crowd and showcased some great young talent. The perfect opening for Balance and Composure. I have seen Balance and Composure numerous times, and it was a once in a lifetime experience to see them in such a small, uncrowded venue. The crowd was still pushing, shoving, and crowd surfing, all right up in front of the stage. B&C was great, played all their best songs and performed every song perfectly. The energy and raw emotion that came from this band felt so close and really hit you hard. 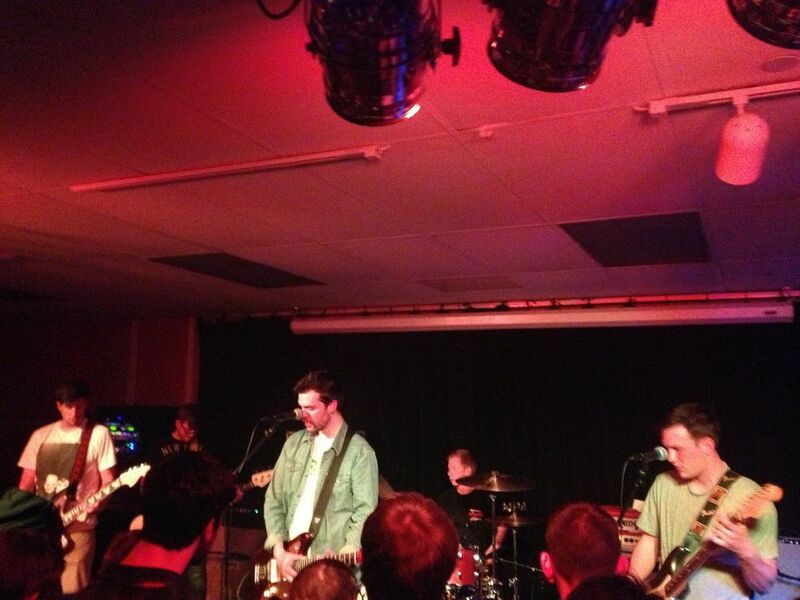 I am sure I will see Balance and Composure many more times, but I will always remember this show due to its intimate setting at The Flux. Little Kingdoms started off by filling the basement with ambient sounds of guitar layered with some great solos by their front man. Keep an eye on this band as they progress in their songwriting. I Kill Giants went as hard as they could the entire set. The guitar tapping, drum filling, and passionate yelling did not stop until their final song was over. Their set consisted of several songs off their recently released full length, and almost all of their older EPs. They played quickly and with meaning, jumping and running around the small space, as well as encouraging the entire crowd to sing-along. These guys know how to play and write catchy songs while having as much fun as they can while doing it. Old Gray poured their heart and soul in to their music, and this performance. Their new album is fantastic, and that came through at this show. The lyrics are revealing, the music is sad and angry and goes perfectly with the emotions they describe. The intensity of their set just speaks of how much feeling these guys put into their music. Twin Pines showed promise in their debut show, with catchy melodies, many different guitar parts, and hard hitting drums. Their lyrics will hit home for any college kid or young adult, and they are as relatable as any band out there. They could have been tighter, but it was their first show as a full band. Family Vacation is an up and coming band from Philadelphia (Temple specifically) and if they do not get famous I will be surprised. Not only are they on point live, playing everything perfectly and with energy, they really bring the music to life. The ambience will catch your emotions up in the music and once the music explodes, so will you. They are a great band and an amazing group of guys. Placeholder is a great punk band who played about twice as fast live. It was awesome. 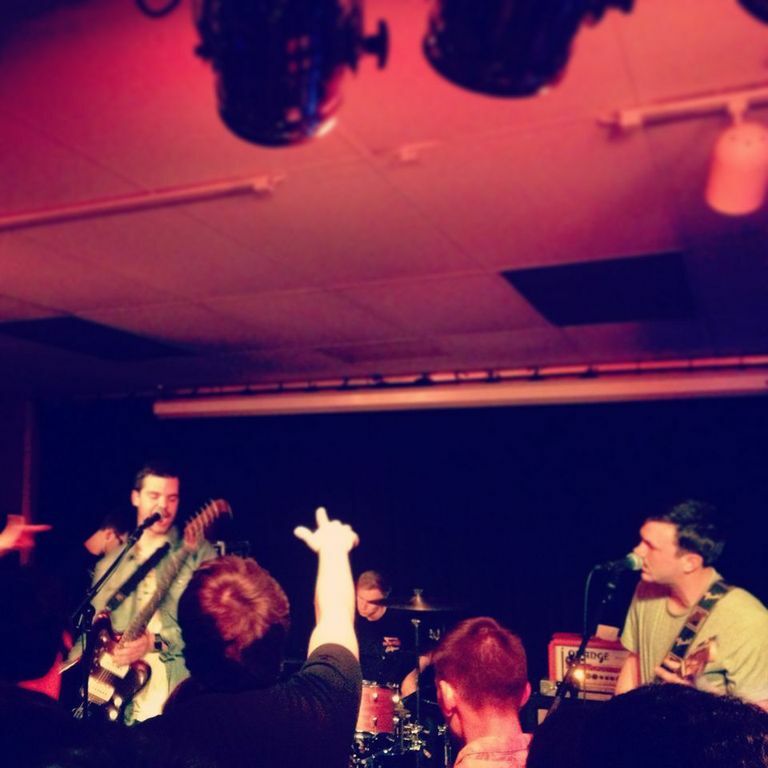 The raw vocals with the sing-along factor combine for an awesome basement show experience. Their full length and EP both provide some very good songs, and I cannot wait to hear their forthcoming album later this year. Check out all the bandcamps below.